So, yesterday I set out to bake a new pie. My oven has been out of commission for the past 3 weeks and the apartment complex finally fixed it this week. It seemed right that it’s first use be for treat baking. 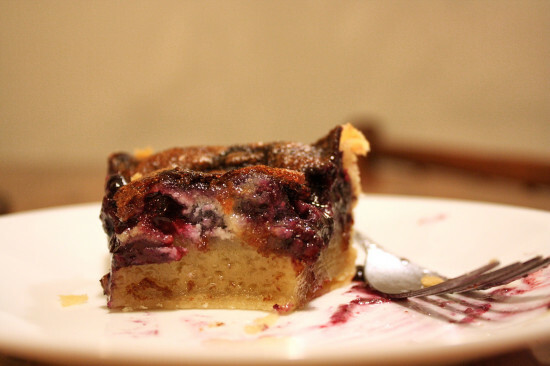 In an effort to use some of the stranger things I had in my fridge (like mascarpone cheese) and some fruit, which was going to be bad soon, I stumbled upon a promising recipe for Blueberry Mascarpone Chess Pie. My first attempt came out looking like THIS. It smelled nice, but when I cut into it, it was very thin – almost runny, as if it hadn’t cooked properly. I put it back in the oven and baked it some more, but this did nothing to thicken the texture. Today, I gave it another shot, using a chess base similar to the one I use for my Berger Cookie Pies and constructed the pie differently. The pictures above are today’s results. It tastes delicious and definitely has the texture/firmness I’ve come to expect from a chess pie. And the blueberries and mascarpone pair together so well. Roll out dough and place into pie pan. Drop half the mascarpone by teaspoon along the bottom of the pan. 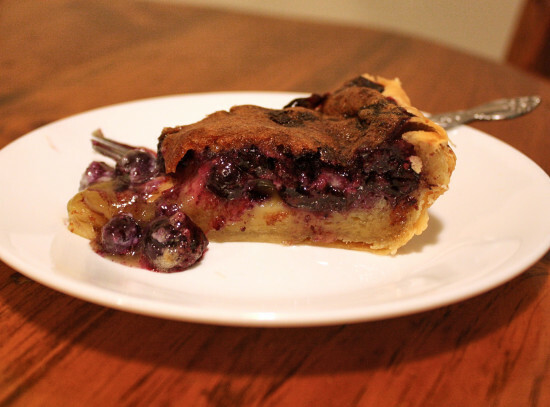 Toss blueberries with 1 tbsp of flour and fill the bottom of the pie pan. In a large bowl, mix sugar, brown sugar, cinnamon, and remaining flour. Add in eggs, one at a time. Add butter and vanilla, stirring constantly. Pour mixture over blueberries. Dot top of mixture with the remaining mascarpone. Let cool completely before serving. Store leftovers in the refrigerator.